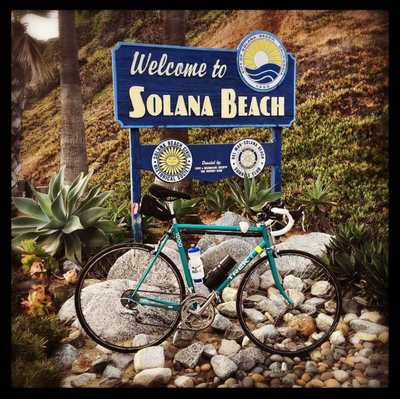 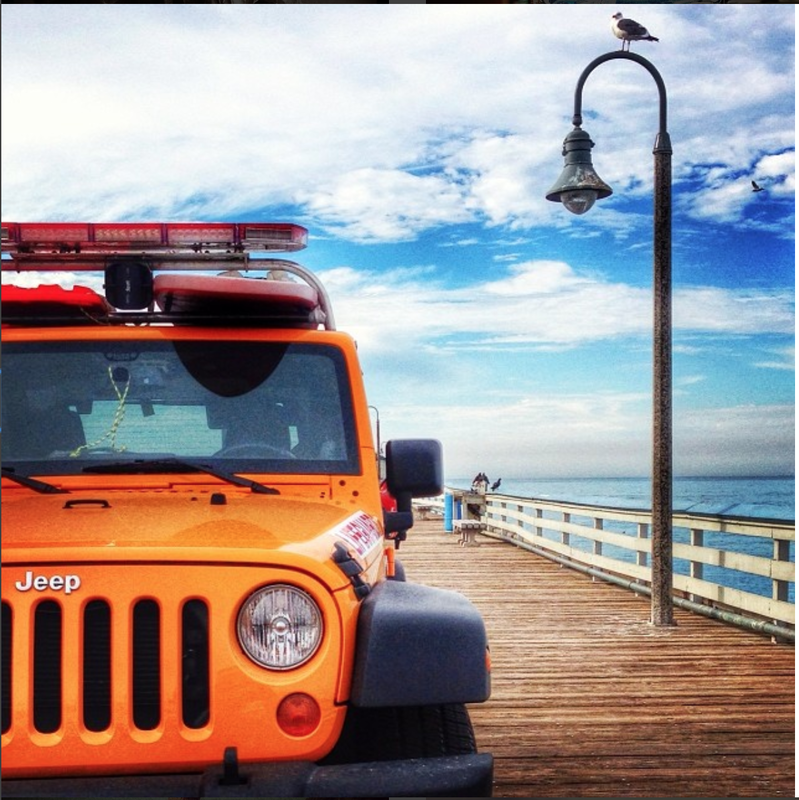 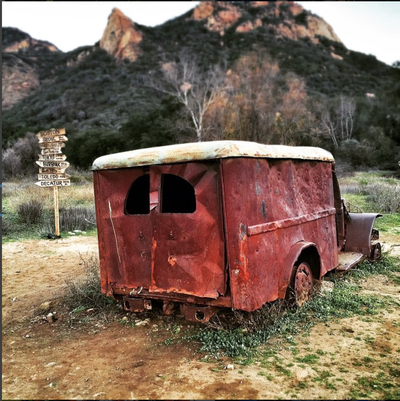 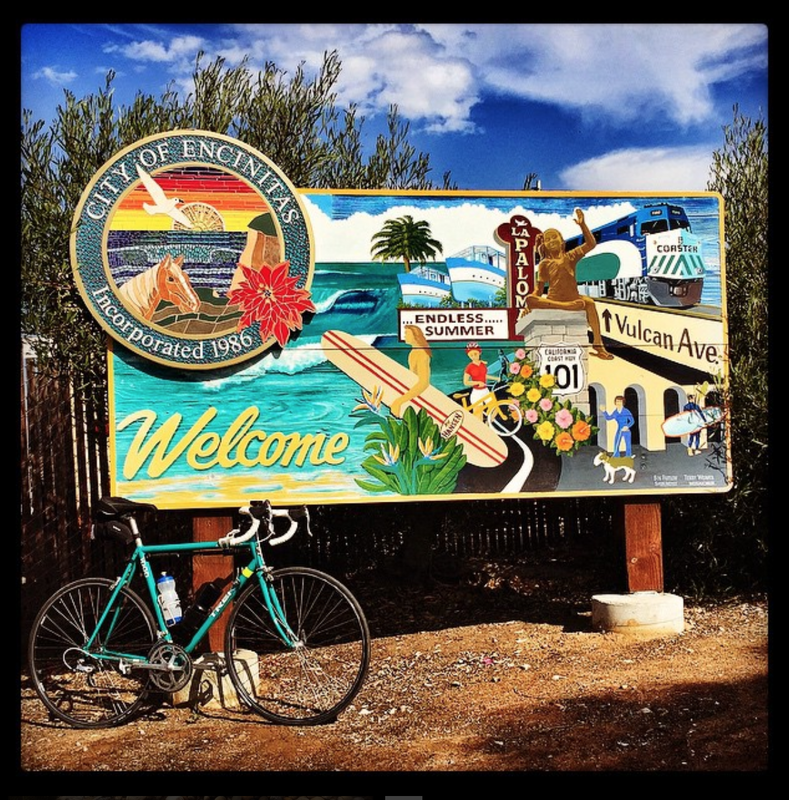 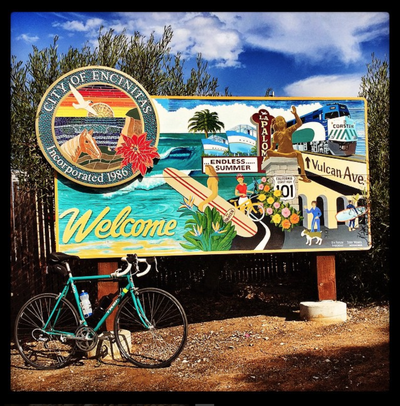 There's so much to see in Southern California... so much to photograph. Here are some shots I've taken over the years, mostly with my phone. 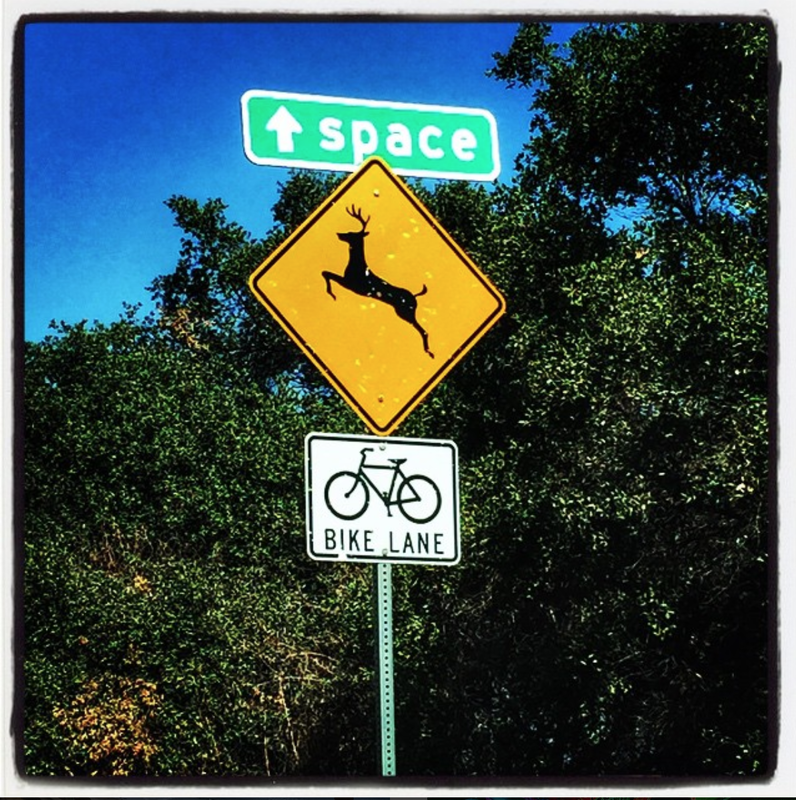 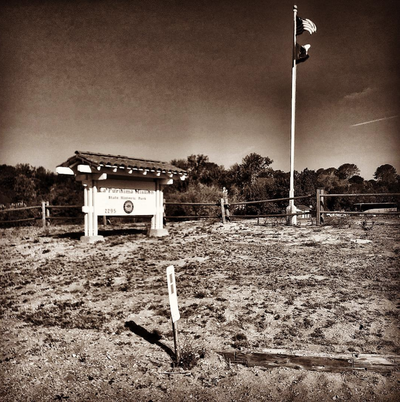 If you get a chance, go visit and take some photos of your own! 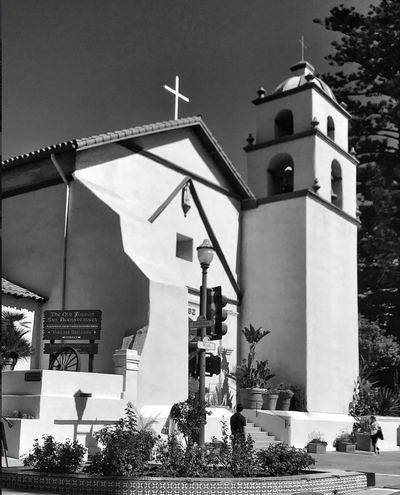 Click the photo to see the full-sized image. 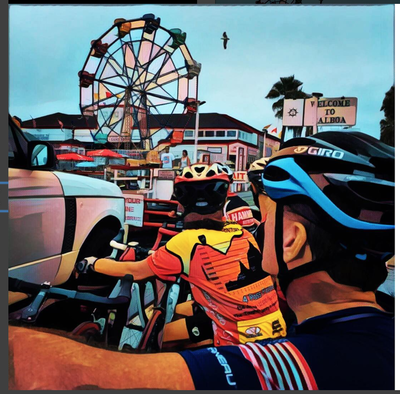 Cycling friends on the Balboa Ferry. 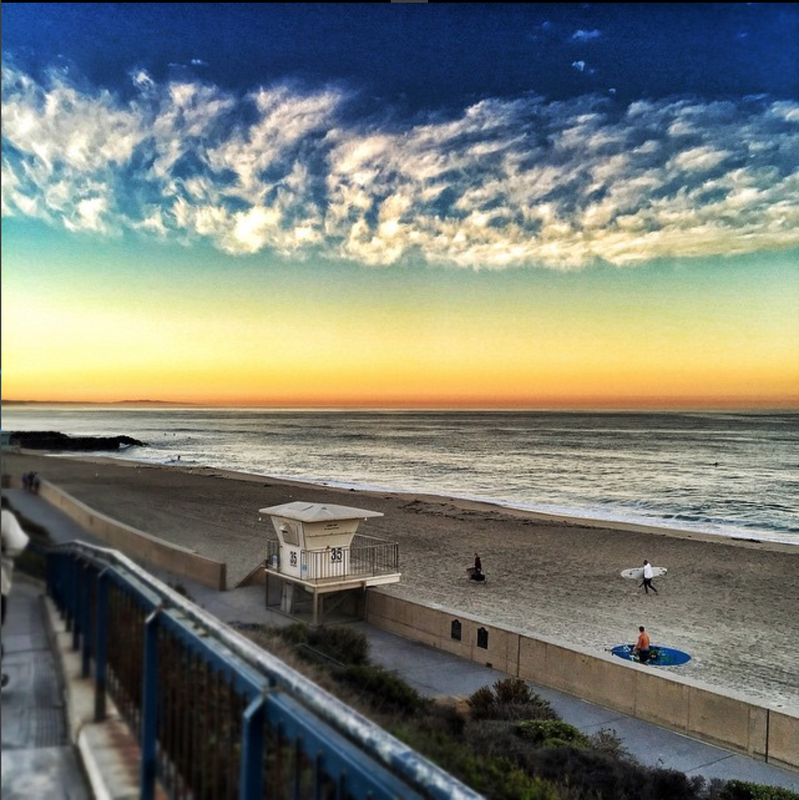 Sunset at the end of the Balboa peninsula. 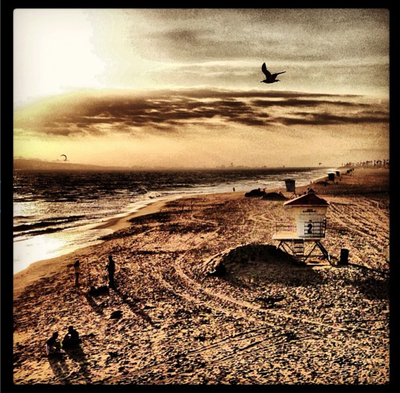 Shot from the Huntington Beach Pier, looking north. 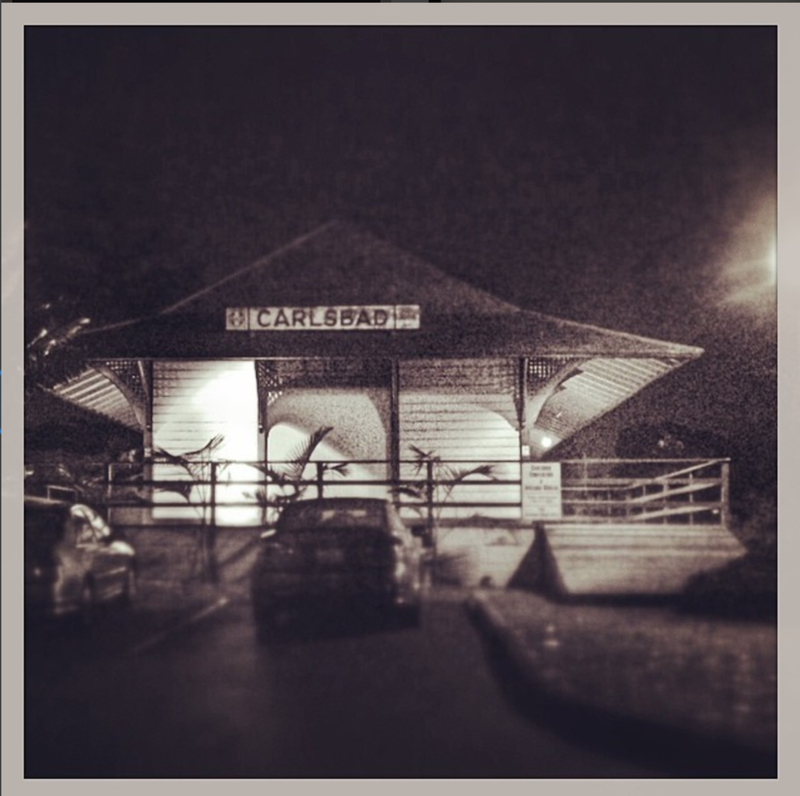 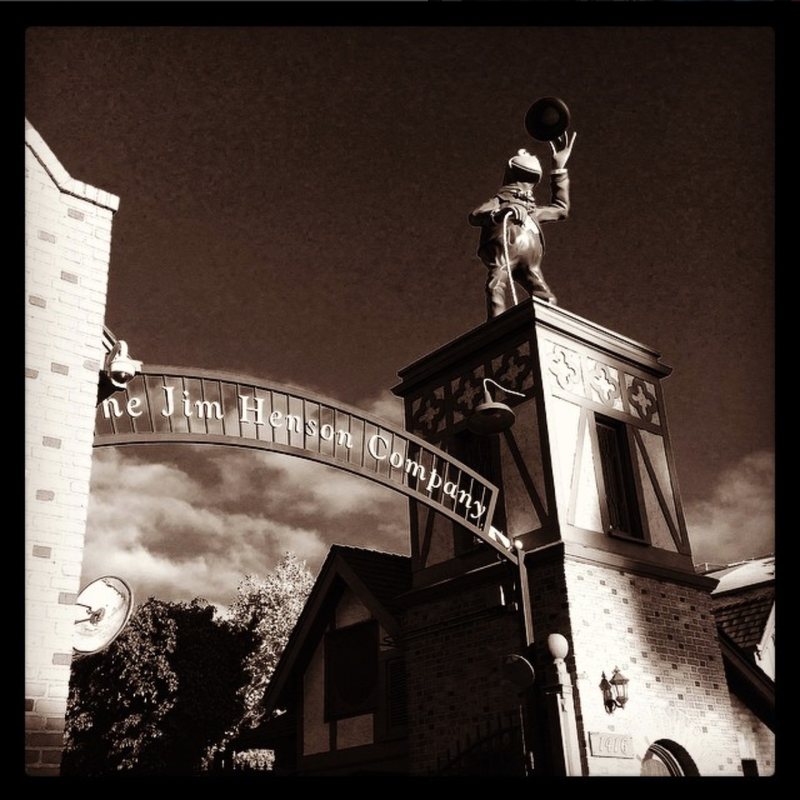 This old-fashioned look is called sepia. 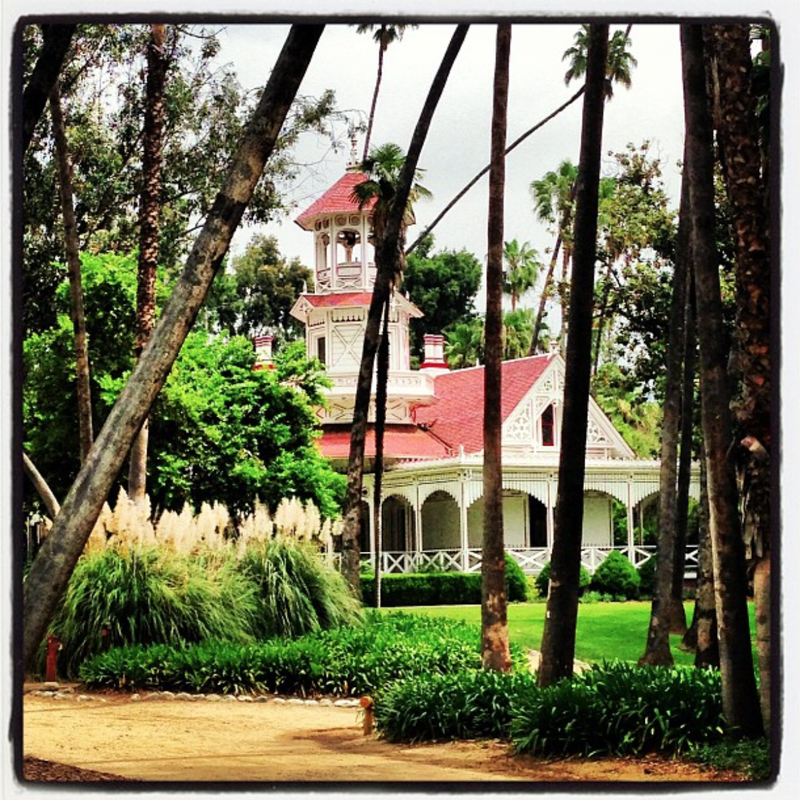 This is the beautiful Queen Anne Cottage at the LA Arboretum. 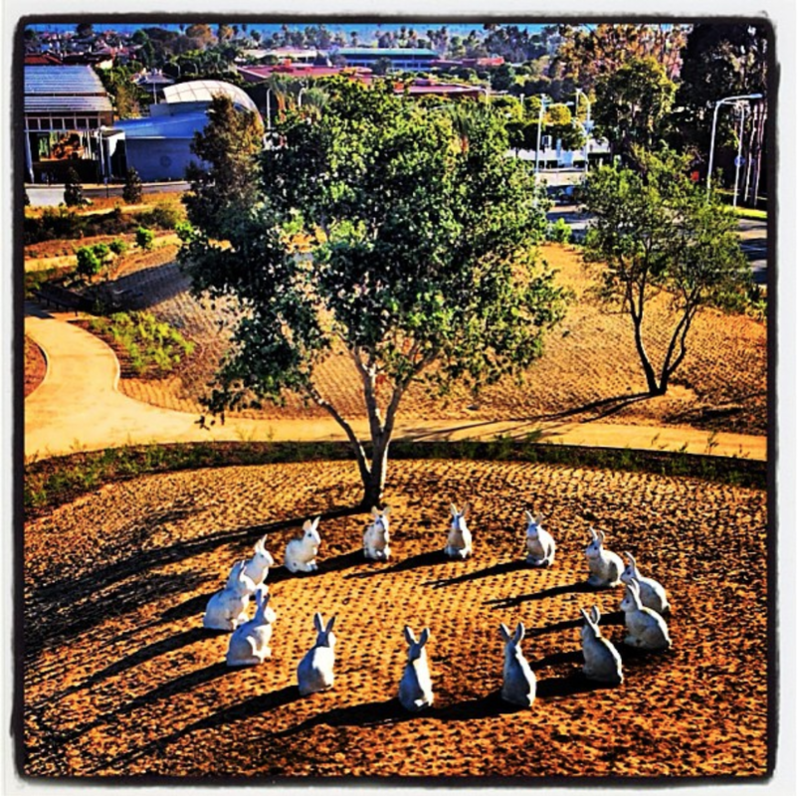 An art installation near Fashion Island in Newport Beach. Looks like a rabbit conference! 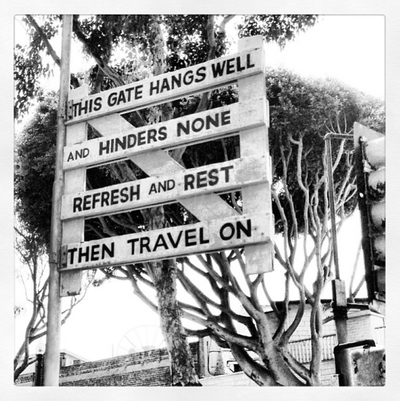 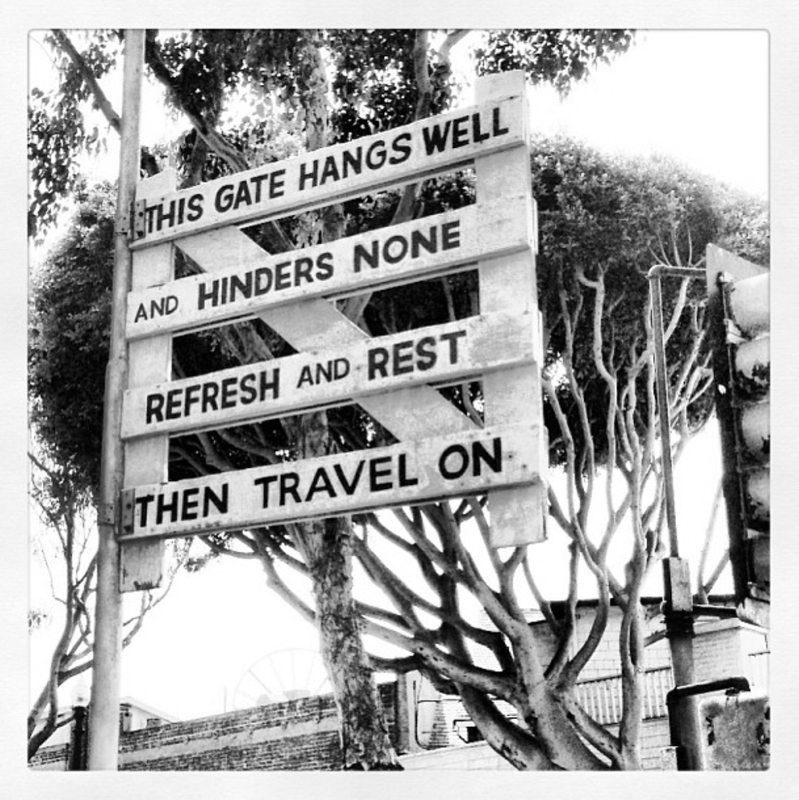 An interesting sign hung up on a pole in Laguna Beach. 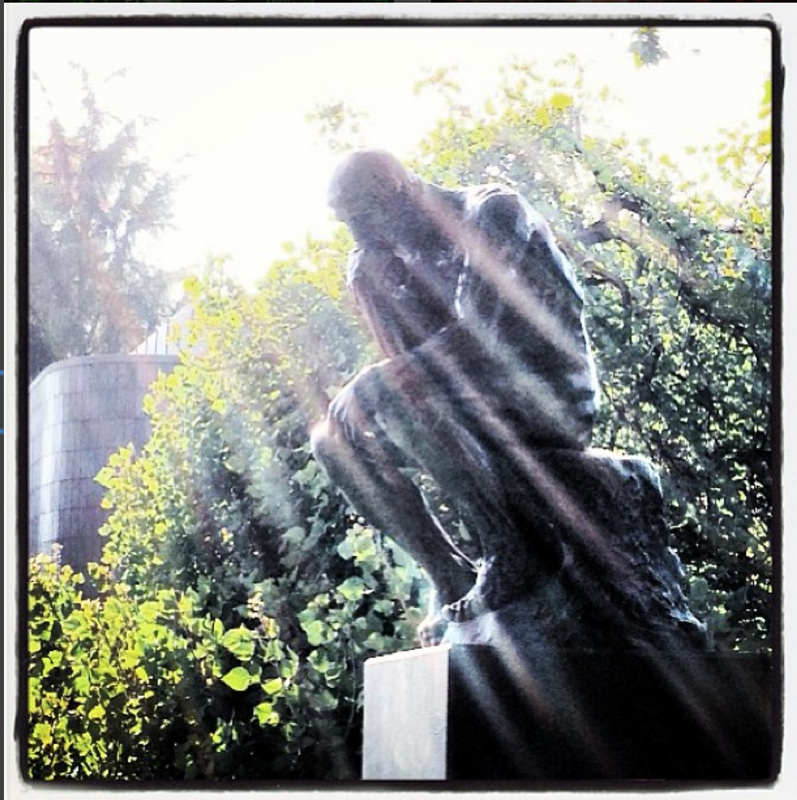 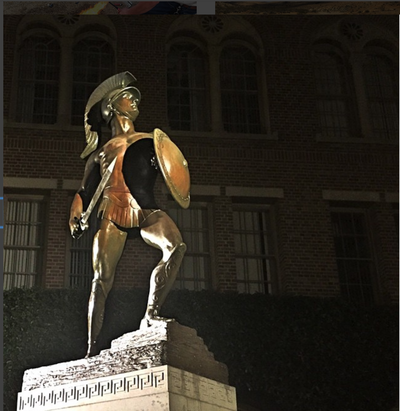 "The Thinker," by Rodin, is outside the Norton Simon Museum in Pasadena. 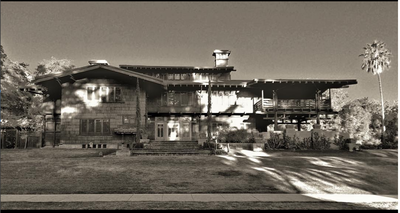 This is the Gamble House, just north of the Rose Bowl. 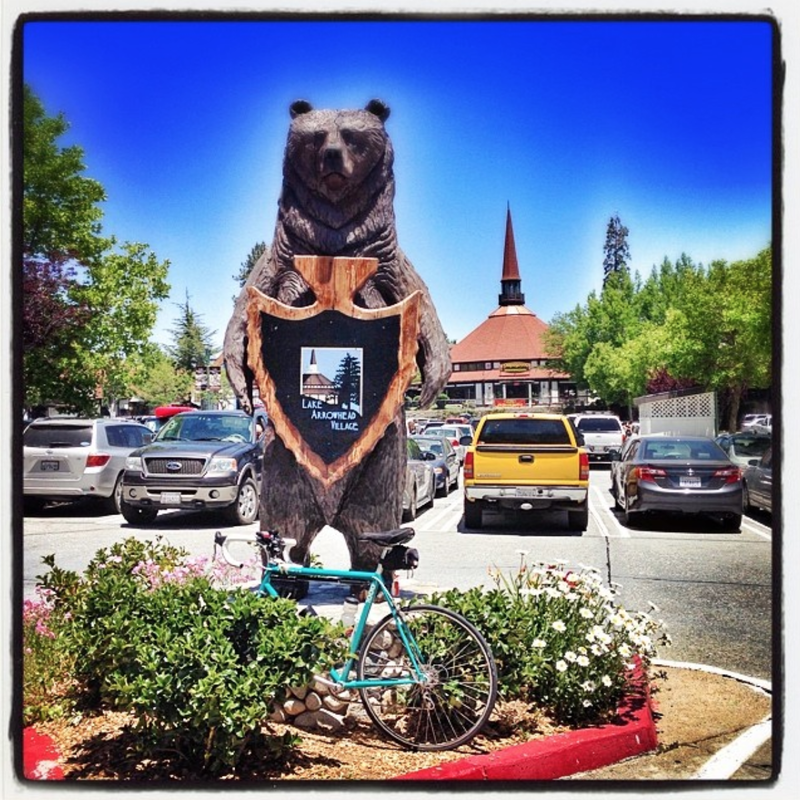 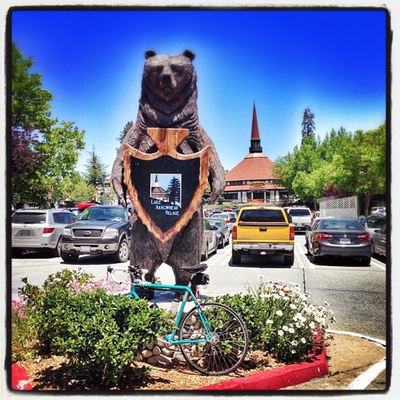 Part of the movie "Back to the Future" was filmed here! 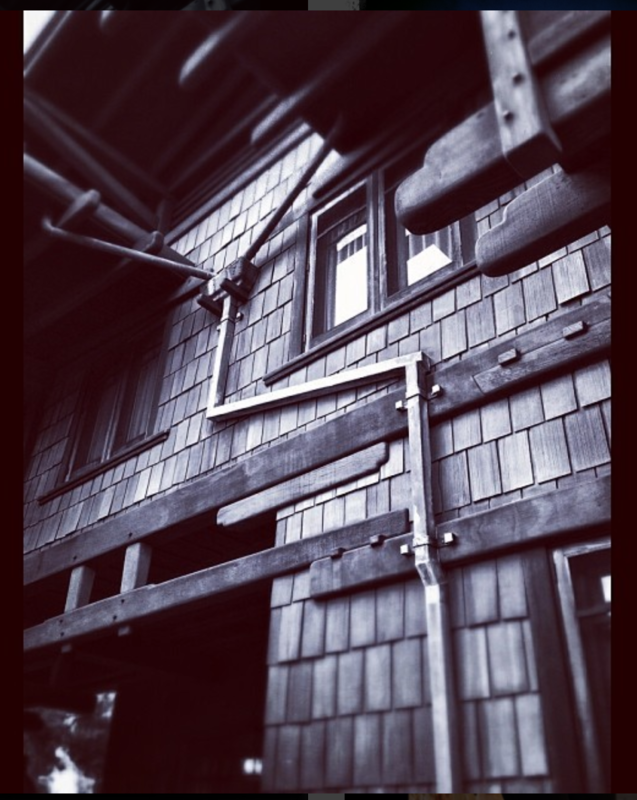 A side view of the Gamble House, built for the Gambles of Procter and Gamble fame. 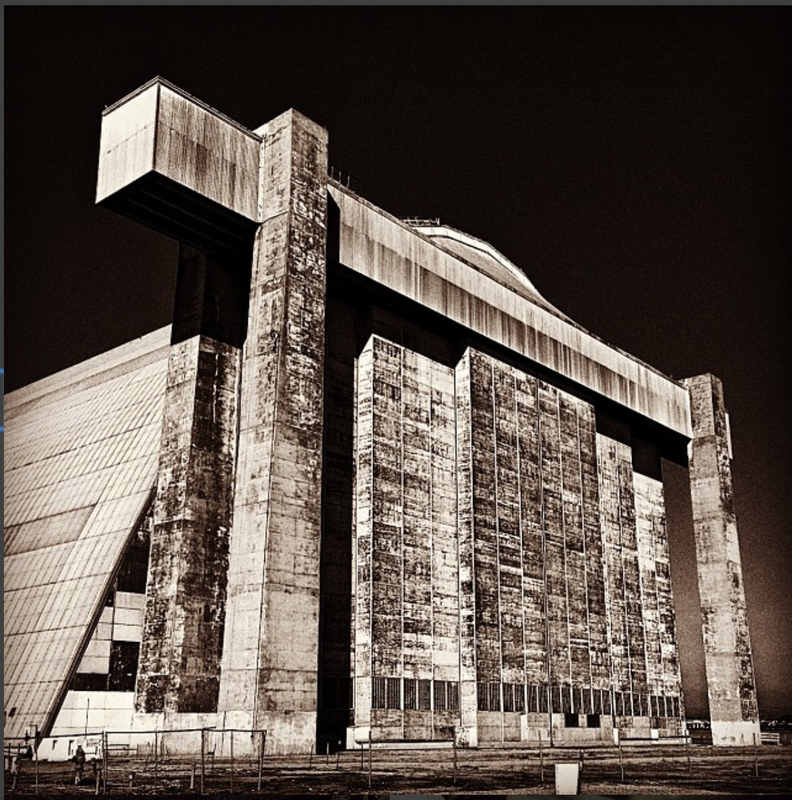 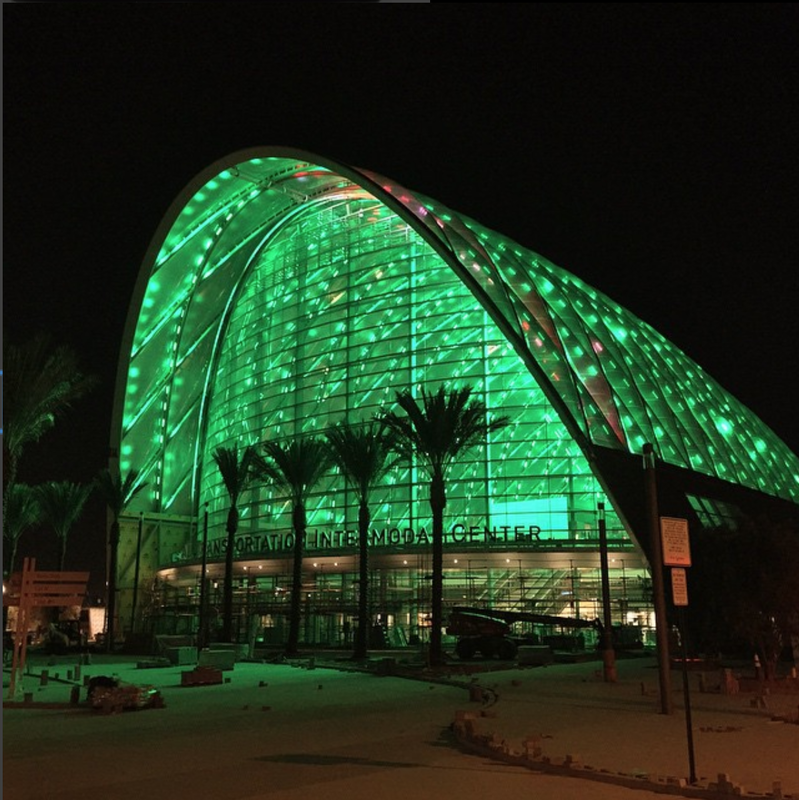 This is a blimp hangar in Tustin. 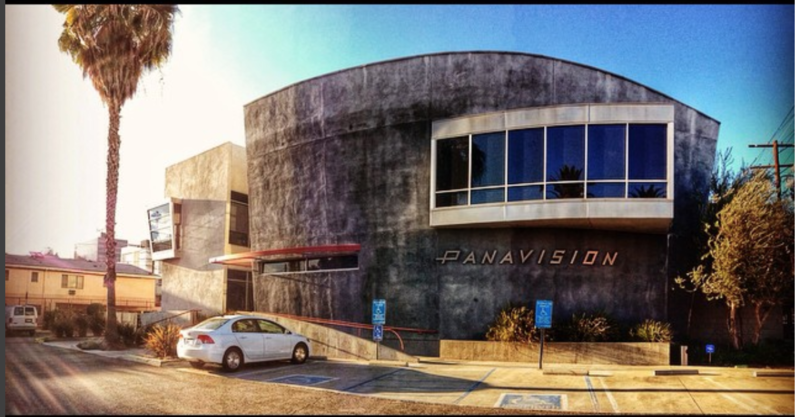 Lots of car commercials are filmed here now. 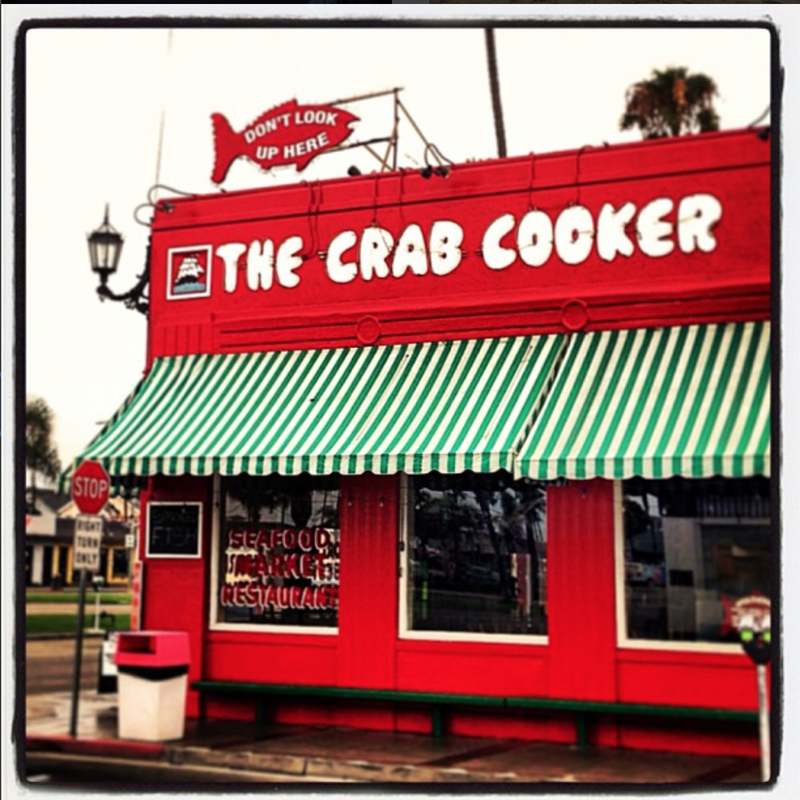 The Crab Cooker restaurant in Newport Beach. 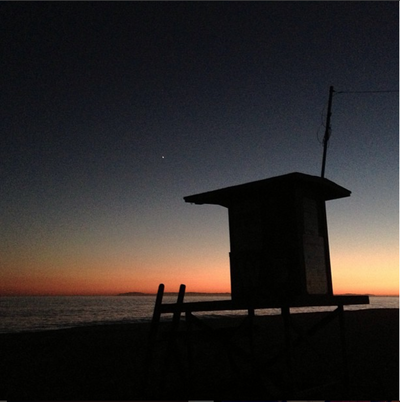 Want to see stars? 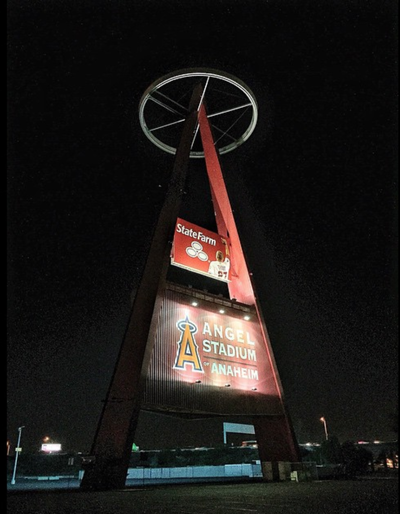 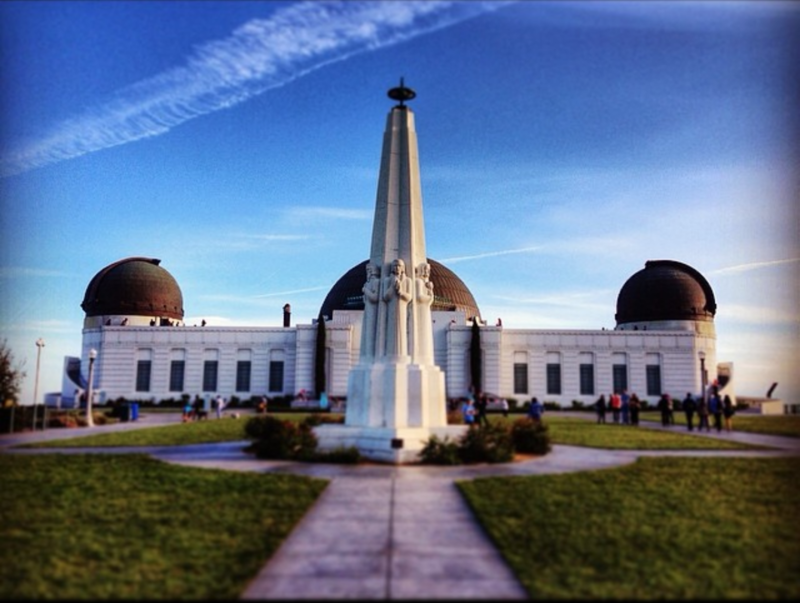 Visit the Griffith Park Observatory! 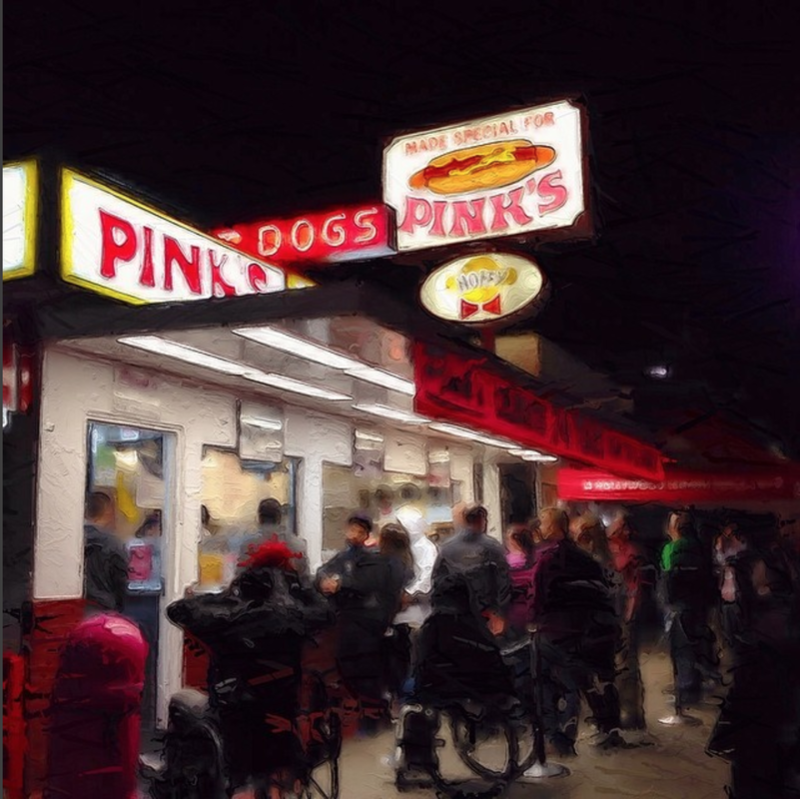 Pink's Hot Dogs in the Wilshire District has been around since 1939! 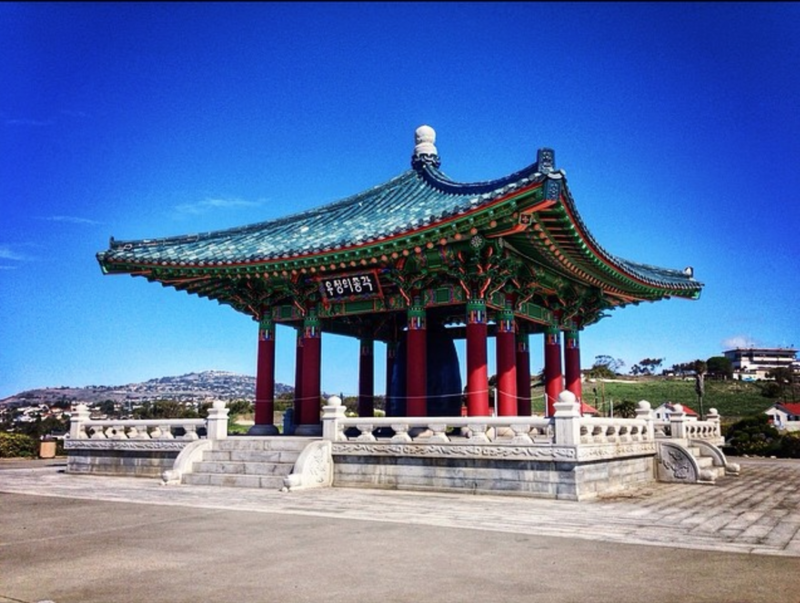 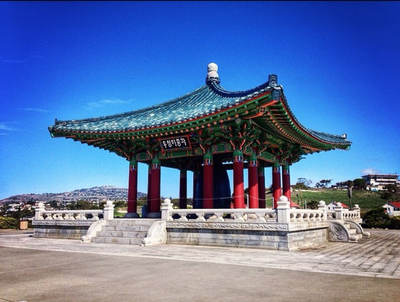 This is the Friendship Bell in San Pedro, a gift from South Korea. 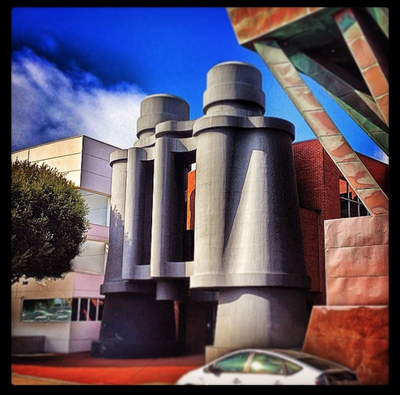 The Chiat/Day building looks like it has binoculars out front... in Venice. 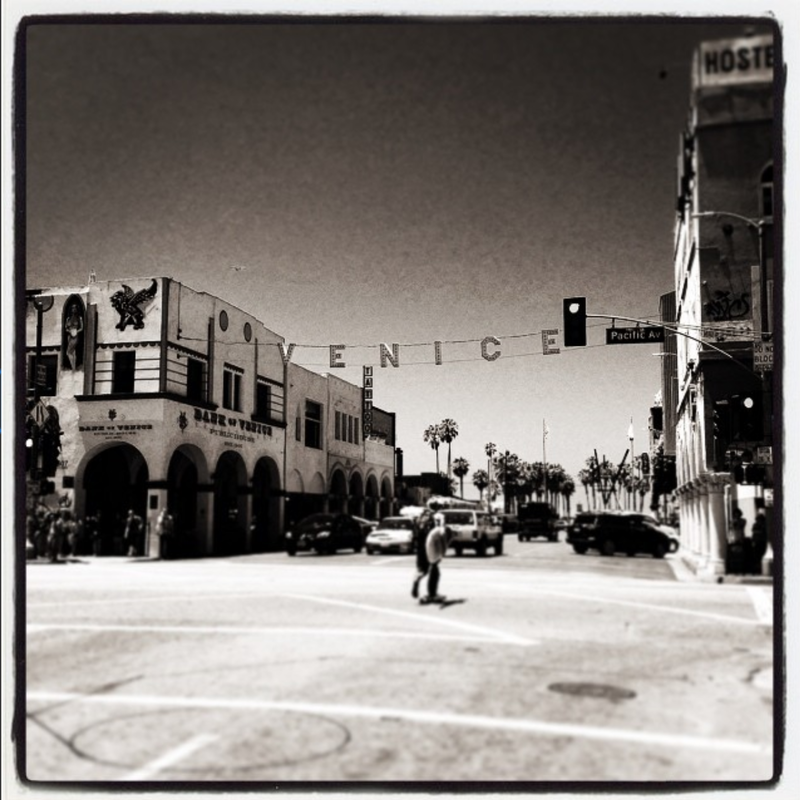 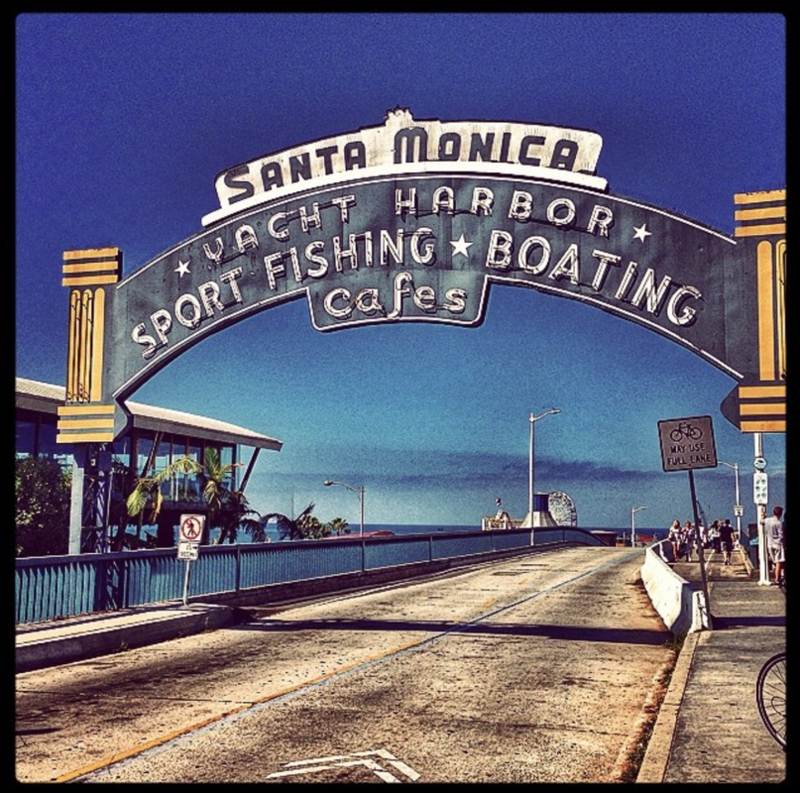 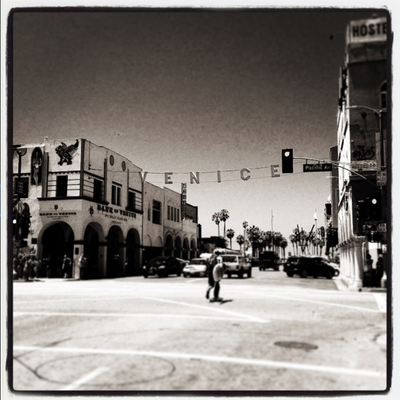 Beautiful Santa Monica is at the end of Route 66. 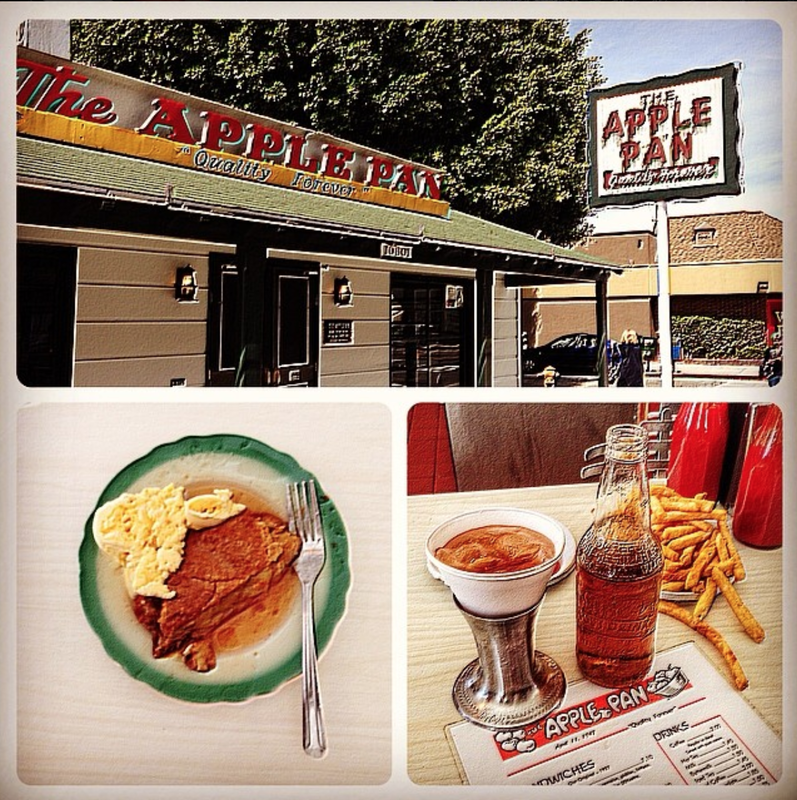 The Apple Pan restaurant has been in Santa Monica since 1947. 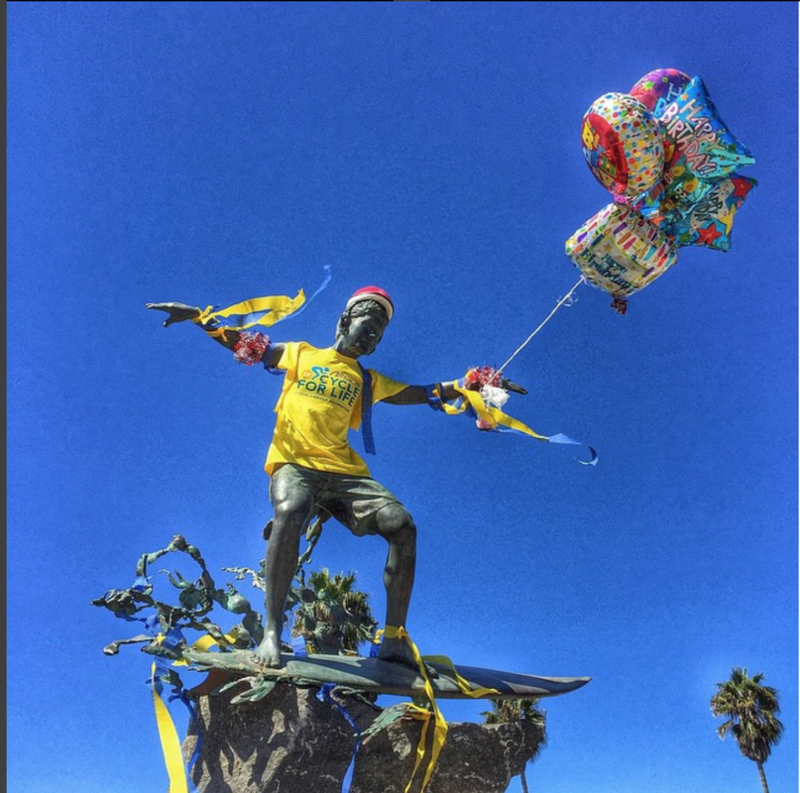 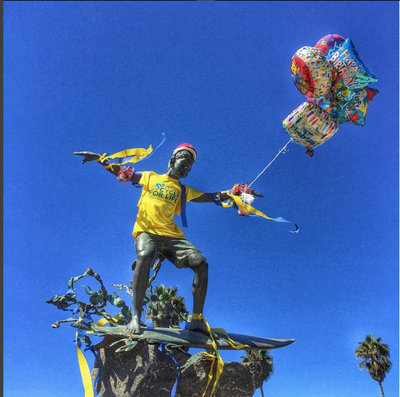 This statue of Saint Monica is in... Santa Monica! 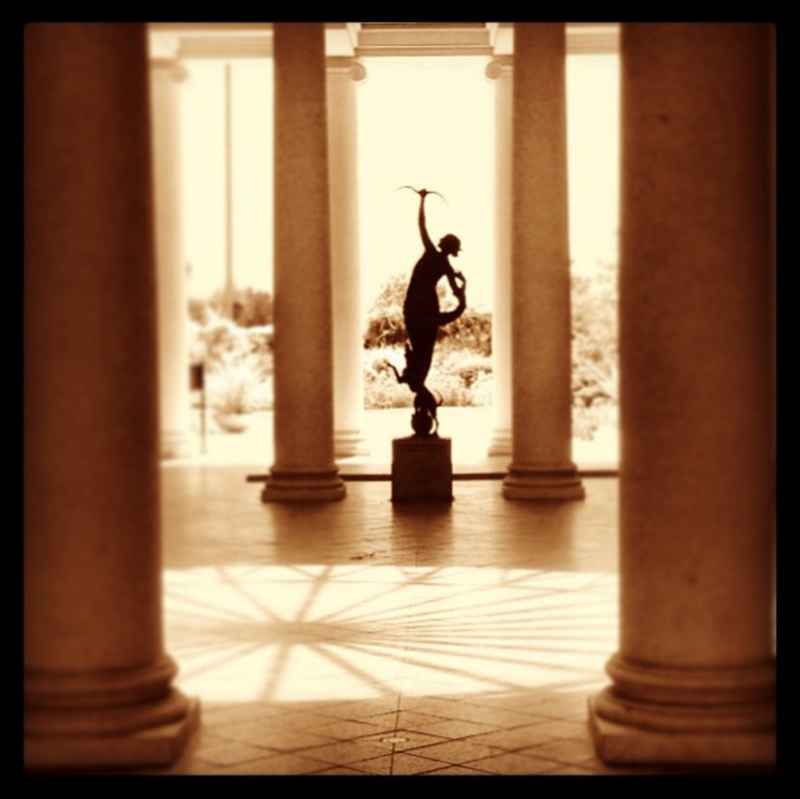 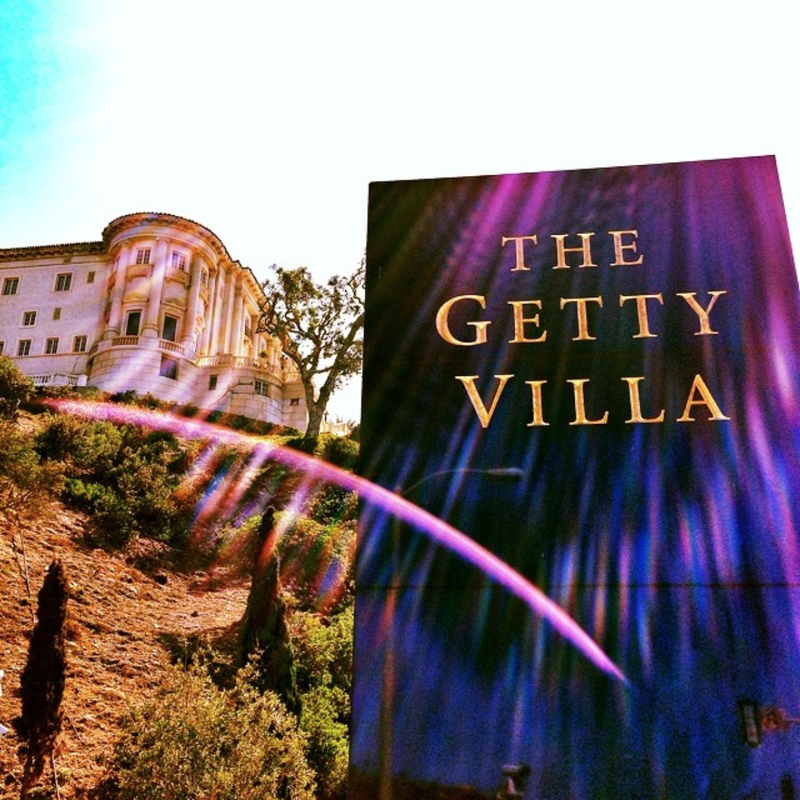 The Getty Villa in Malibu is a free museum filled with Roman and Greek antiquities. 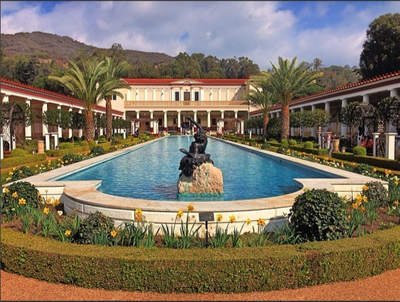 Here's a shot of the reflecting pond at the Getty Villa. 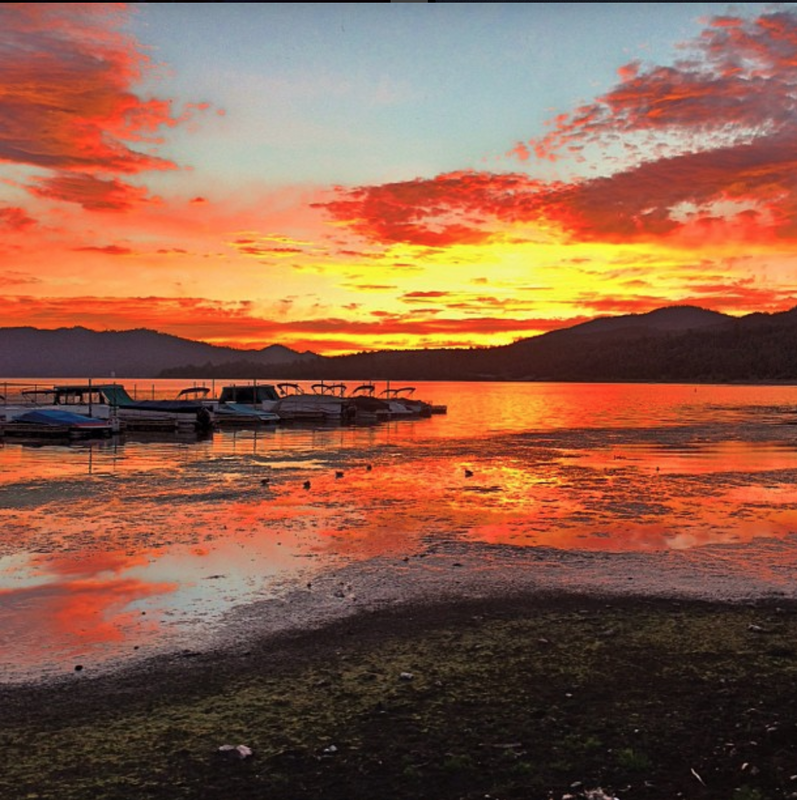 Big Bear Lake is a place for beautiful sunsets. 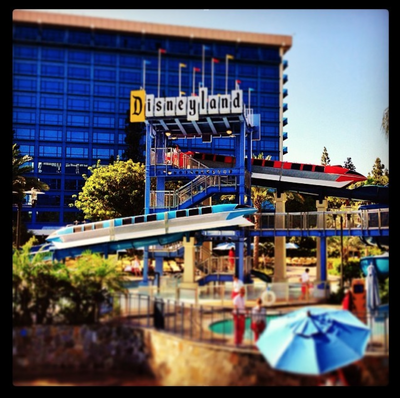 This is a photo from the Disneyland Hotel. 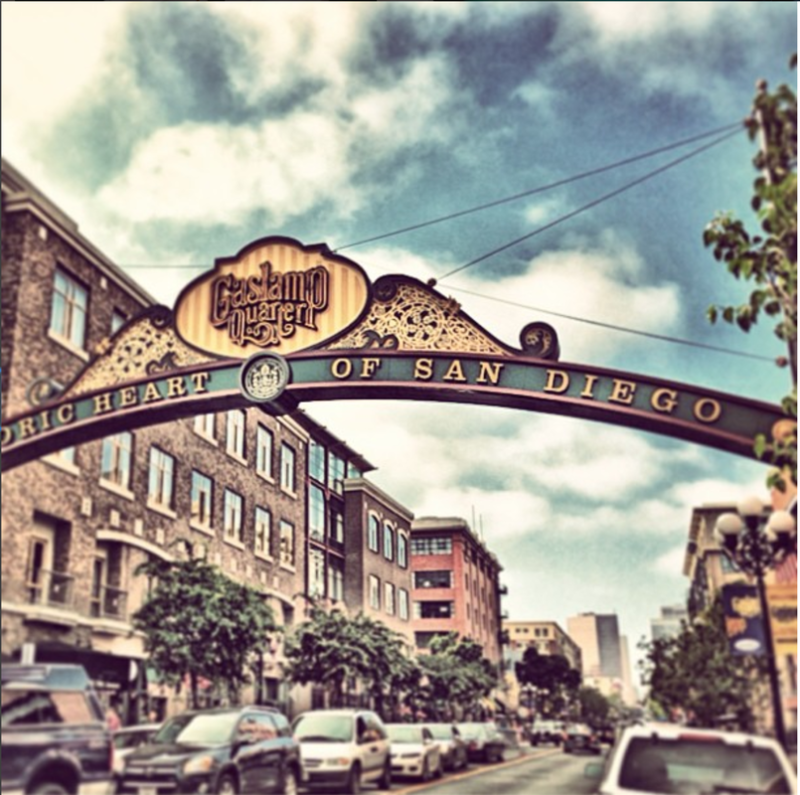 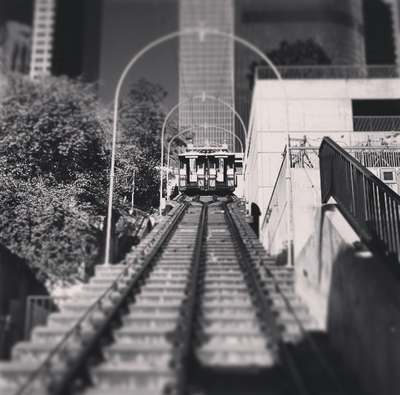 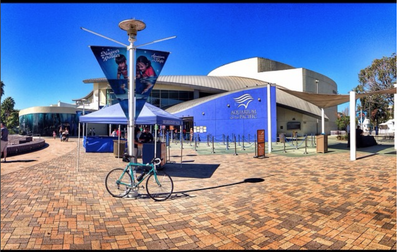 It's free to park, wander around and take photos, and pop in to a restaurant and buy lunch or dinner! Crystal Cove State Beach, just south of Newport Beach, isn't very crowded. 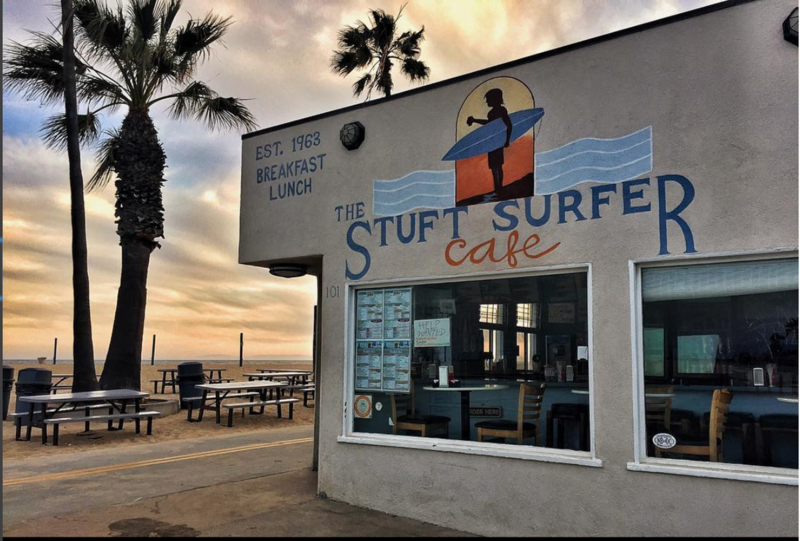 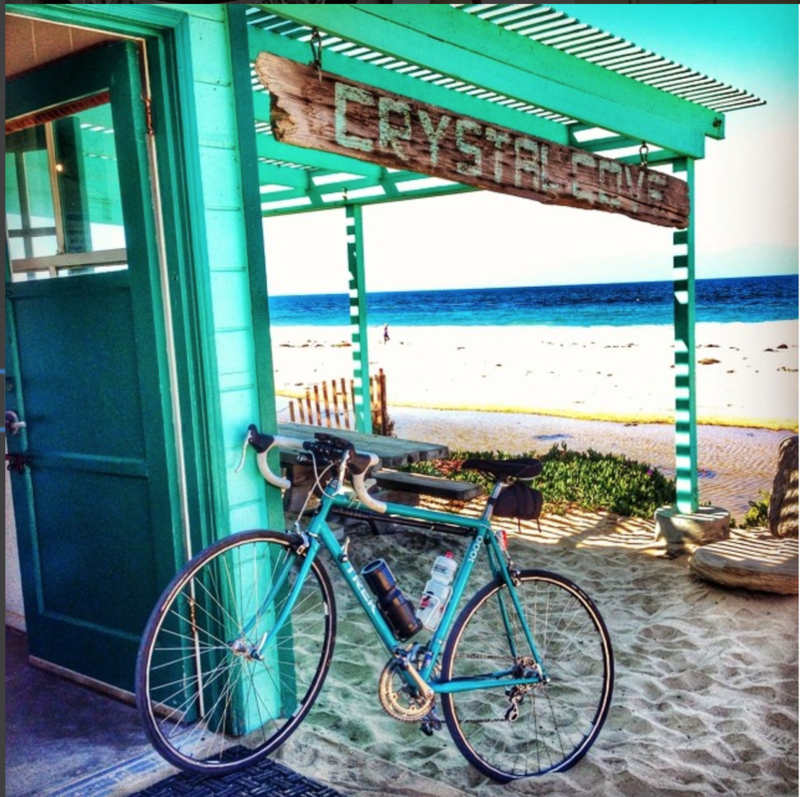 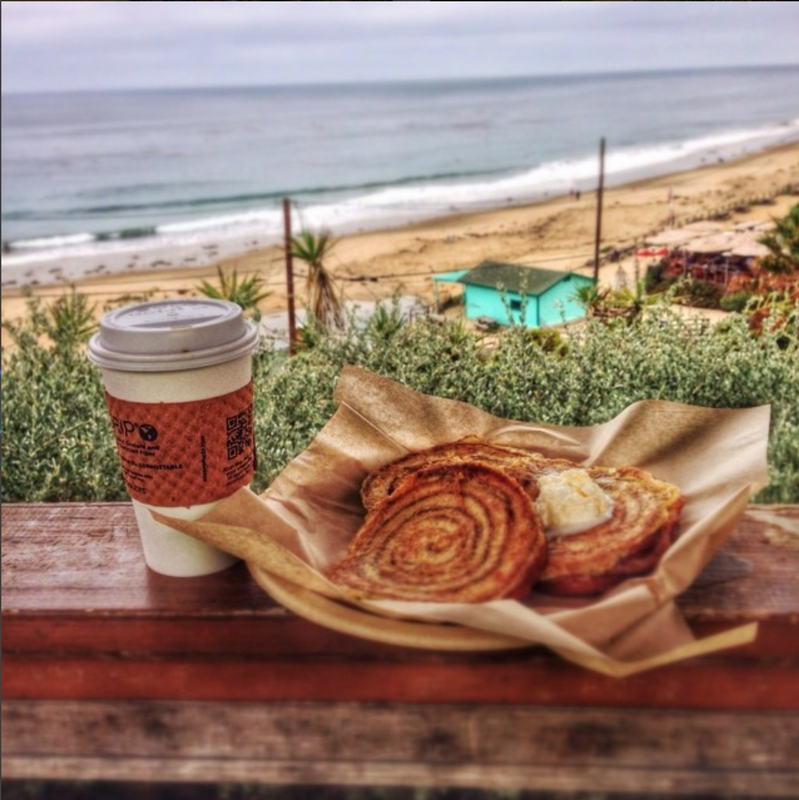 Here's a shot of the same building at Crystal Cove from Ruby's Shake Shack. 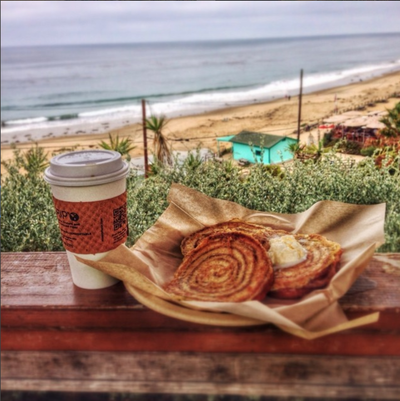 They have Frech toast cinnamon rolls! 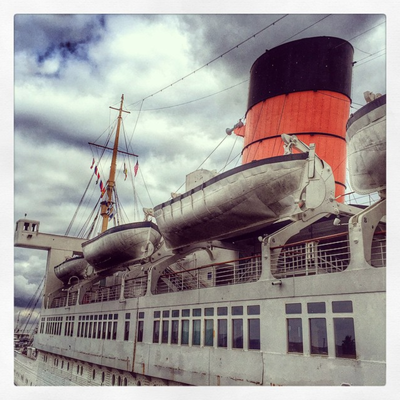 The Queen Mary in Long Beach is a great place to visit to explore this old cruise ship. The Aquarium of the Pacific is like a mini Sea World, just down the freeway in Long Beach! 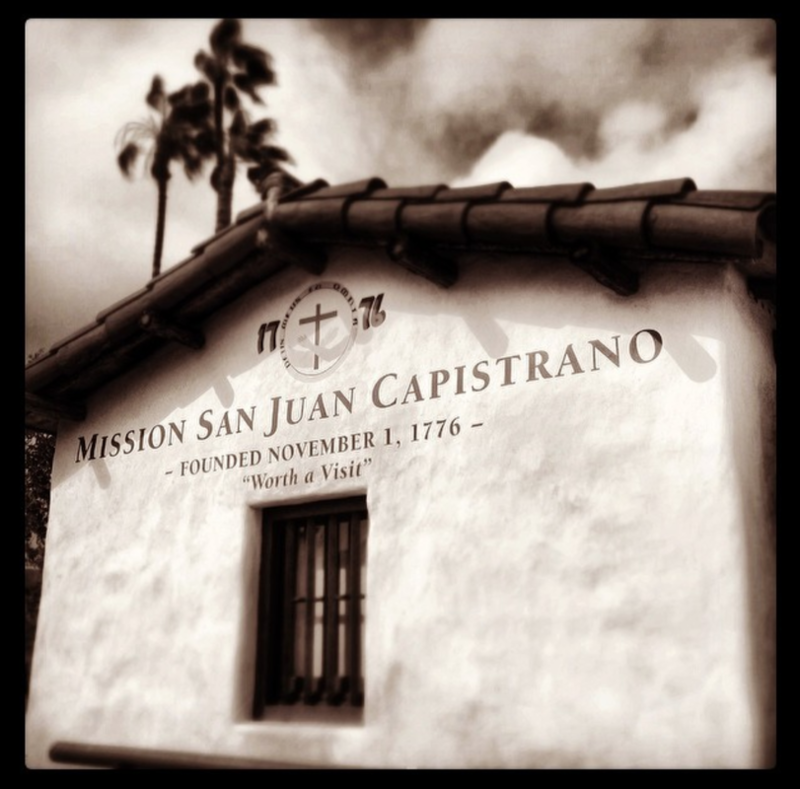 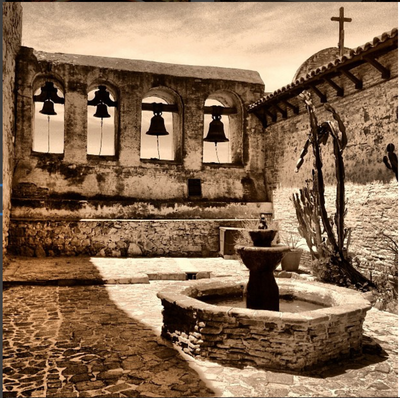 Mission San Juan Capistrano is just down the 5 Freeway, and really is "worth a visit!" Capistrano's bells are beautiful from this side... so is the fountain. 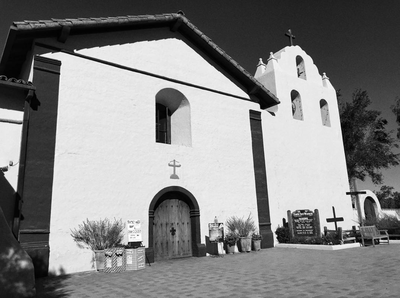 Mission San Luis Rey de Francia has a splendid white chapel near Oceanside. 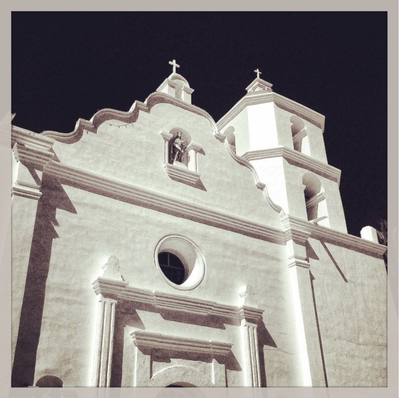 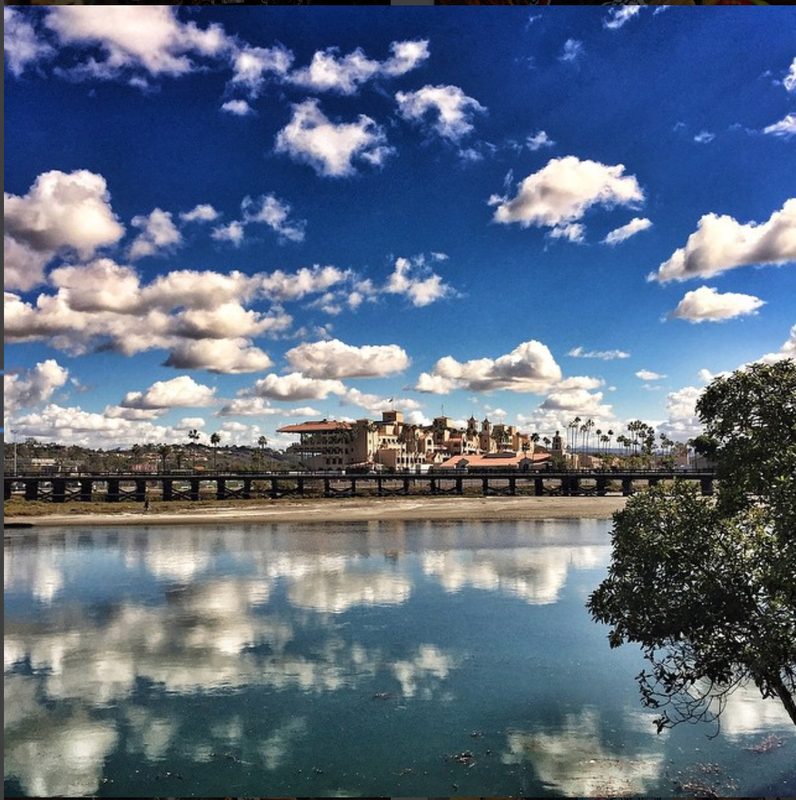 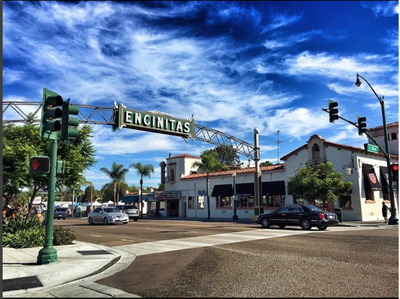 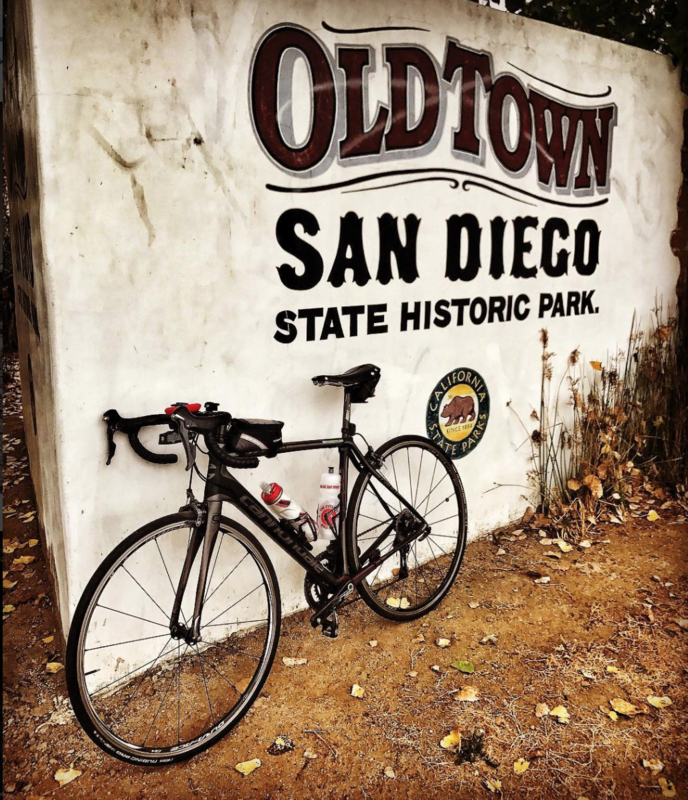 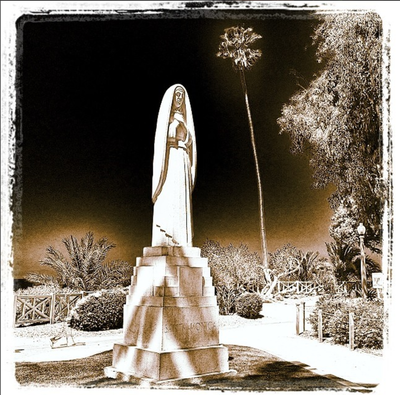 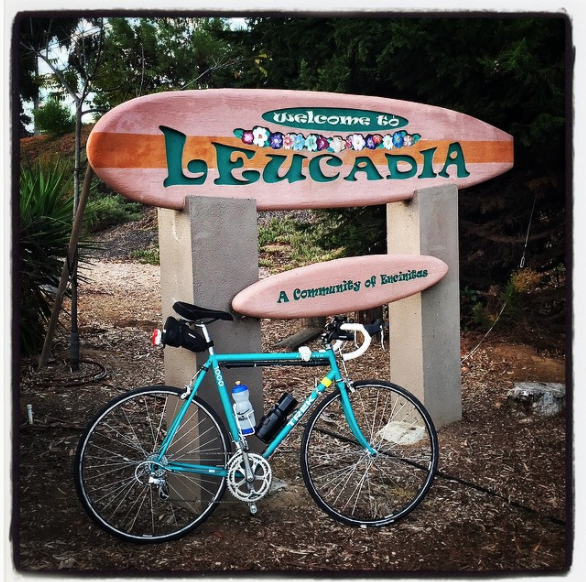 Mission Buenaventura is in downtown Ventura. 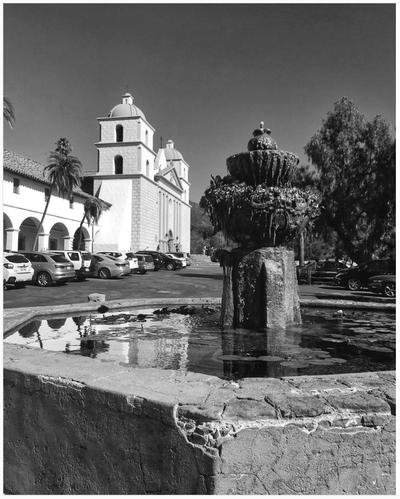 Mission Santa Barbara has a huge chapel, and a beautiful fountain our front. Mission Santa Ines is just outside of the neat town of Solvang. Panavision makes most of the cameras used in professional filmmaking. Jim Henson Company in Hollywood is the home of the Muppets. A sunset shot in Carlsbad. 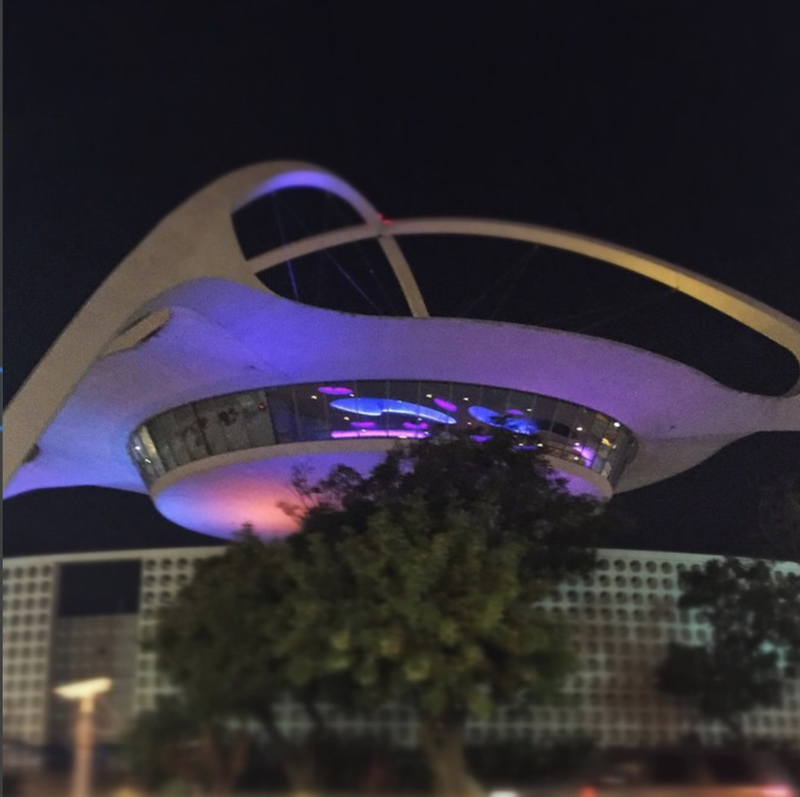 This is the Theme Building at the Los Angeles International Airport (LAX); it looks like a spaceship, ready to take off! 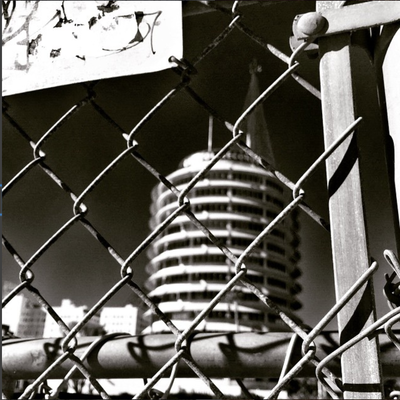 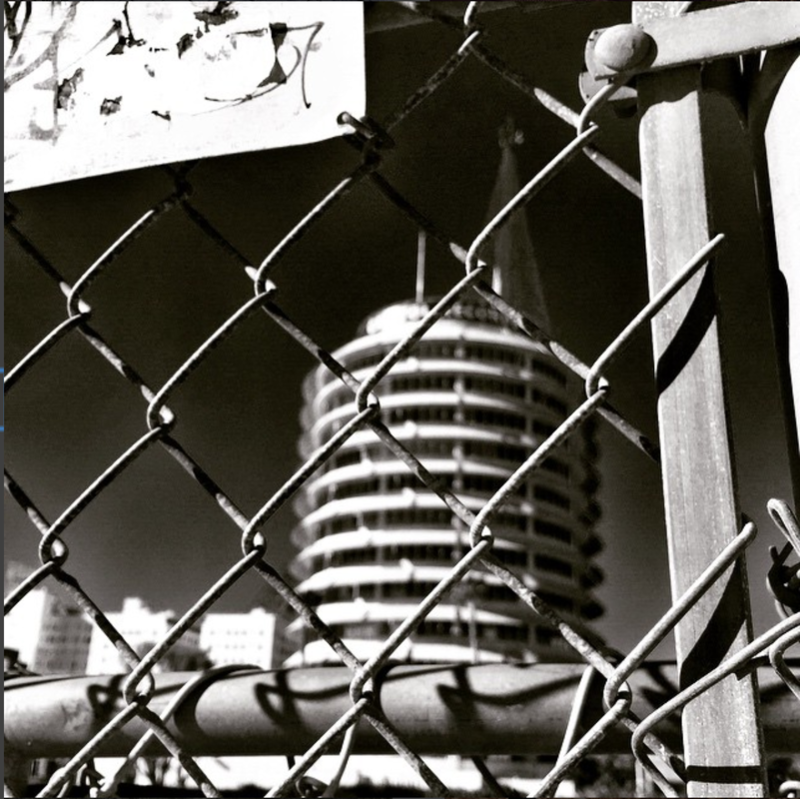 This is the Capitol Records Building in Hollywood.